The Government Medical Officers’Association (GMOA) praised President Maithripala Sirisena and Health Minister Dr.Rajitha Senaratne for increasing the price of a cigarette, amidst various obstacles thrown at them, GMOA Editor Dr. Nalinda Herath said. 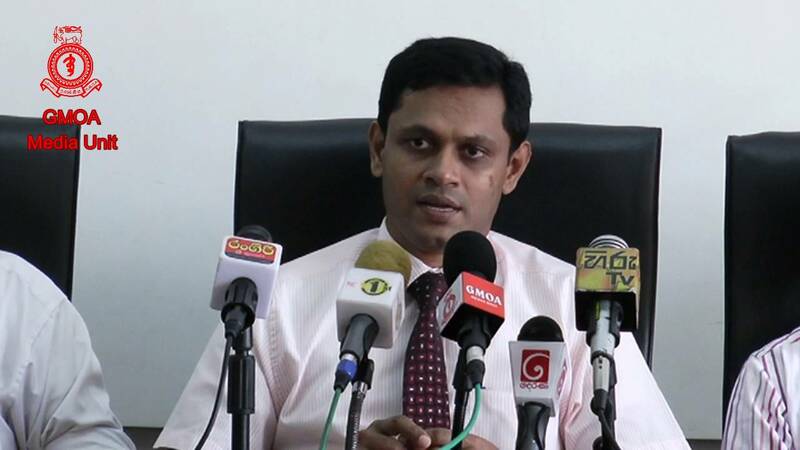 Addressing the media during a press conference at the GMOA Head Office in Colombo yesterday, he said that increasing the price of a cigarette by just seven rupees is not adequate at all, but the GMOA welcomes the increase. “The price of a cigarette should be at least Rs. 56 according to the country’s current economic situation especially when it comes to the purchasing power of the people,” Herath said. “The GMOA has already extended its fullest support towards the President’s efforts to eradicating tobacco and alcohol use.It has already presented 10 proposals in connection with controlling the use of tobacco. The price of a cigarette should be increased at least twice a year and it should be done according to a formula.Although the number of new addicts has gone down, the number of smokers have gone up drastically during the past years,” he said. “Banning the sale of single cigarettes or small packets with few cigarettes, limiting the number of places that sell cigarettes and introducing a license system are among the set of 10 proposals presented to the President by the GMOA recently,” he added.